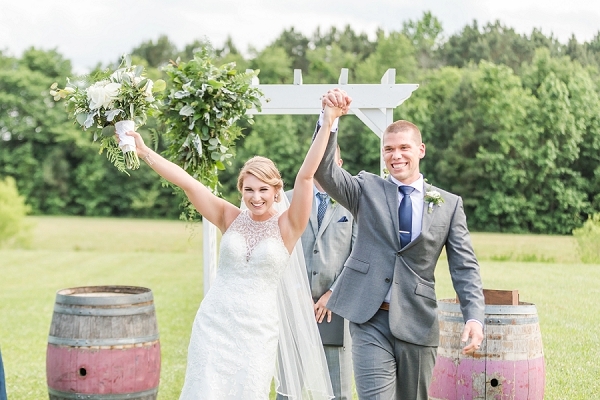 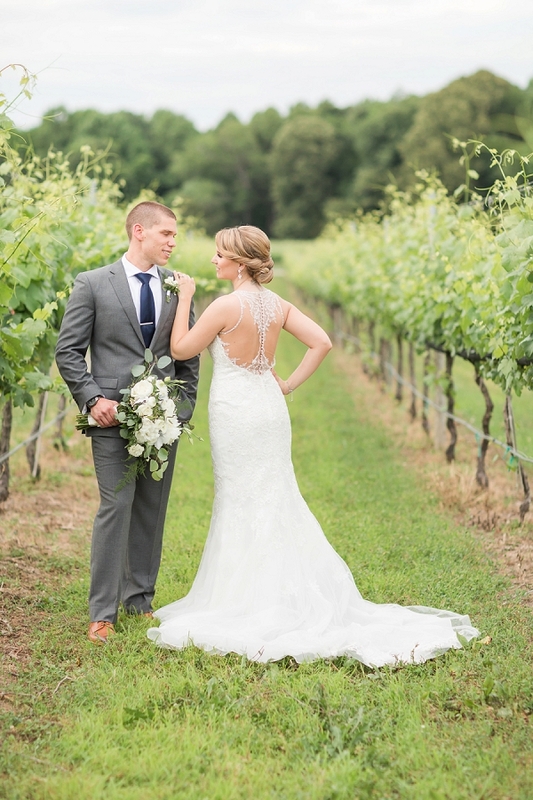 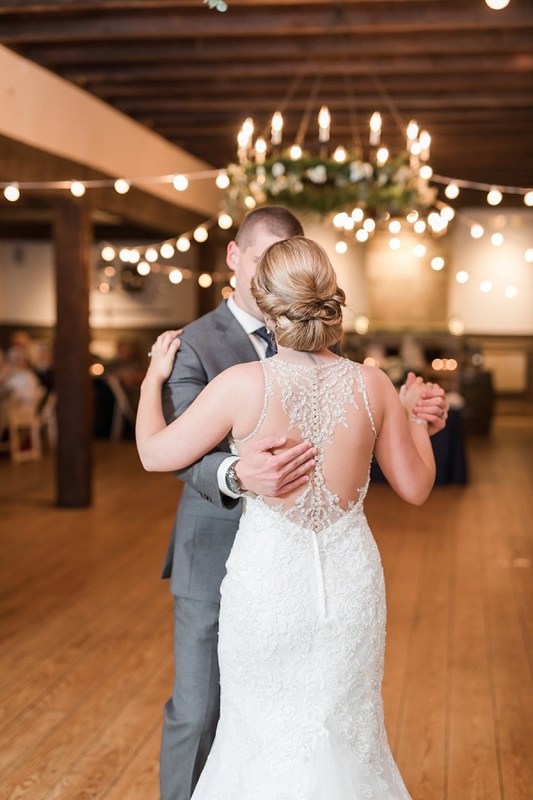 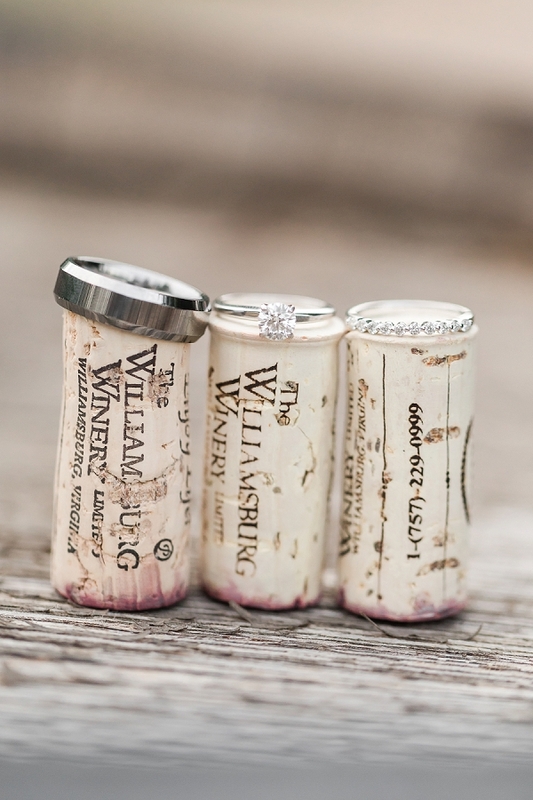 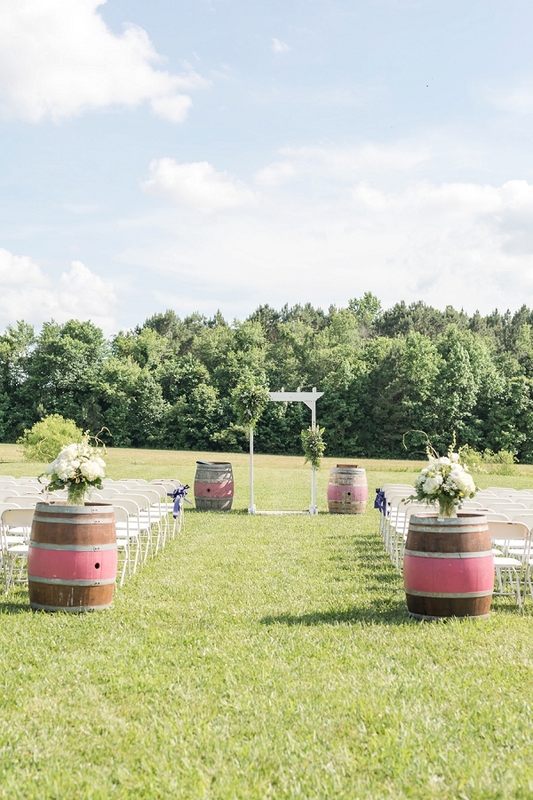 Taylor and Tyler's day at the Williamsburg Winery is nothing if not filled with summery details that will make you smile for sunshine and good vibes. 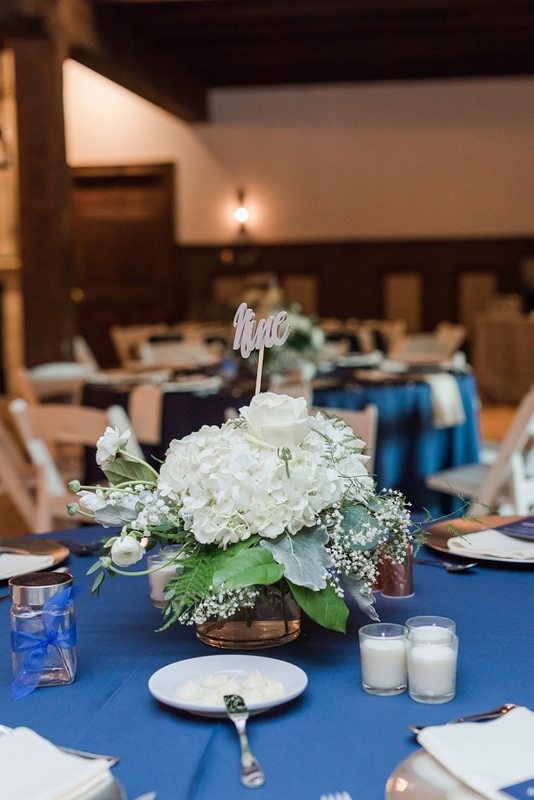 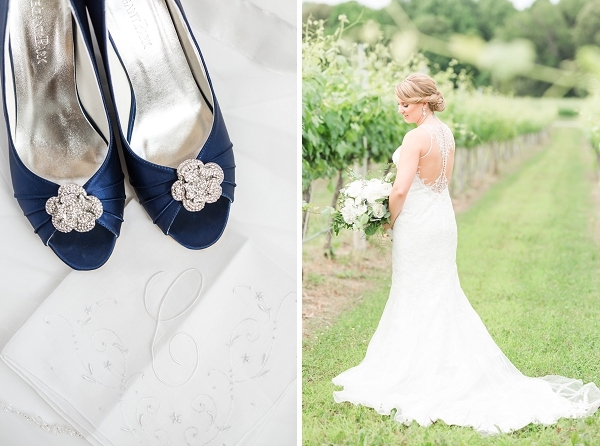 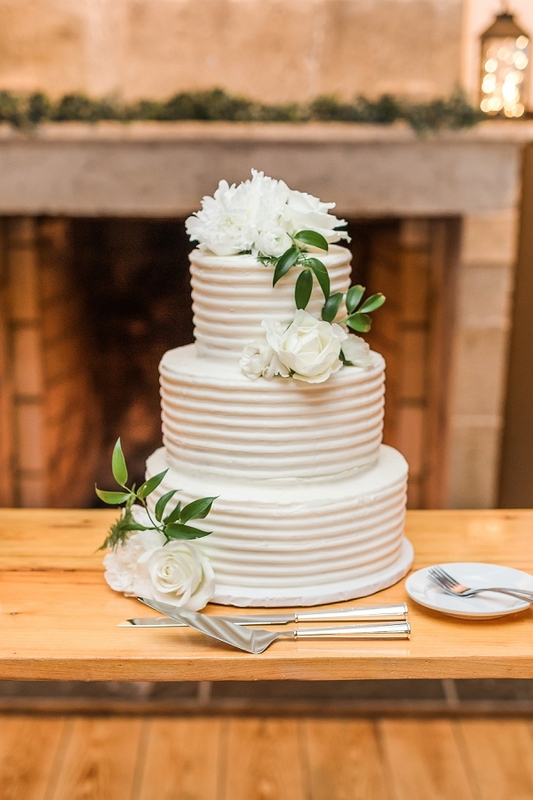 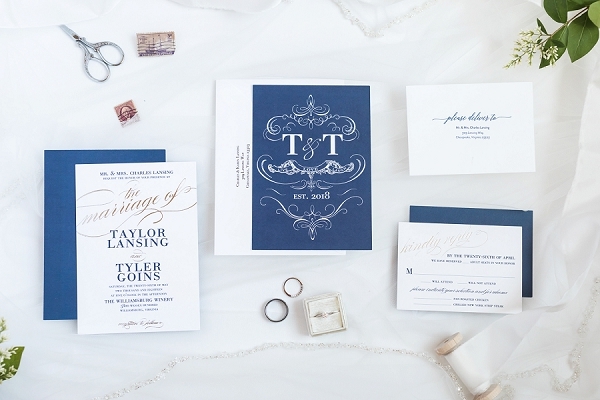 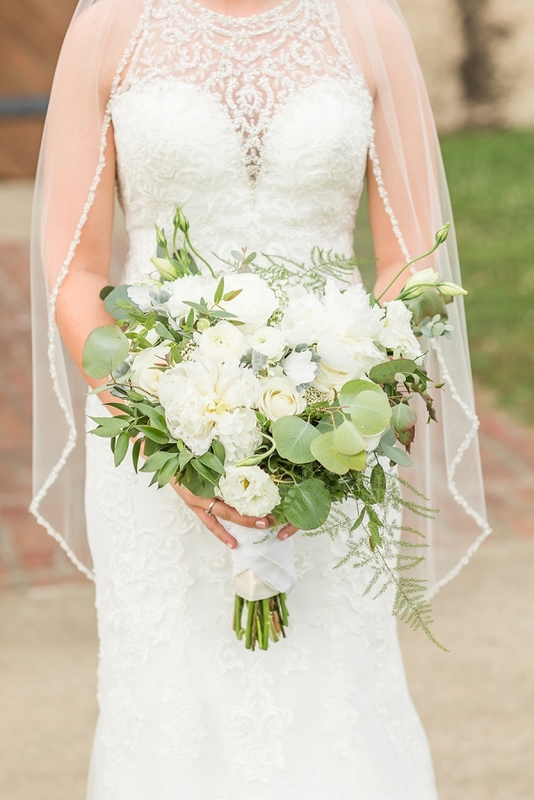 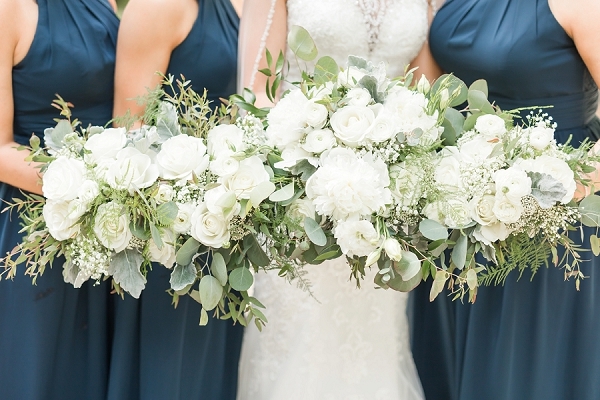 Their navy blue color theme and all-white floral bouquets combine to form a timeless rustic celebration, but one of their real swoonable details was Taylor's wedding dress that gives us all the envy. 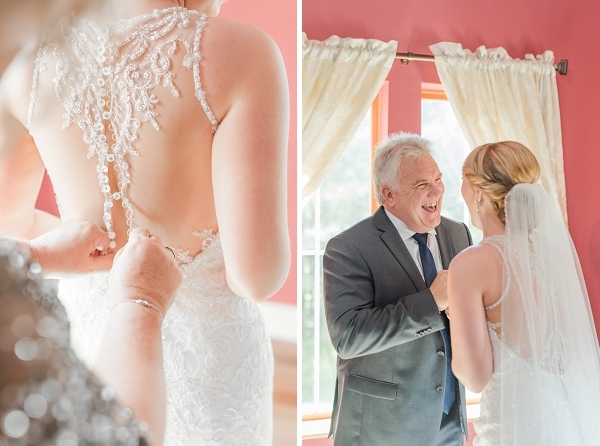 The front and the back dripping with crystal beading was perfect for their classic style. 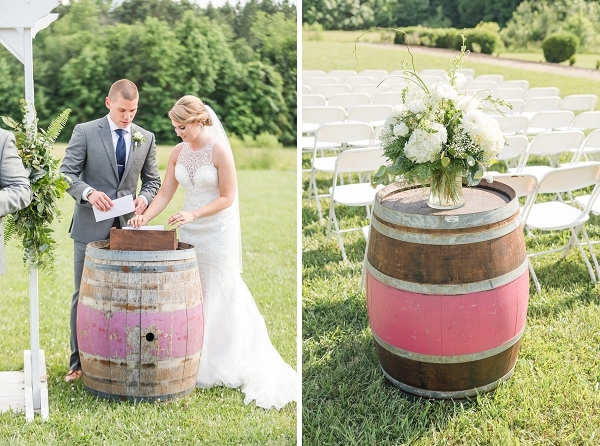 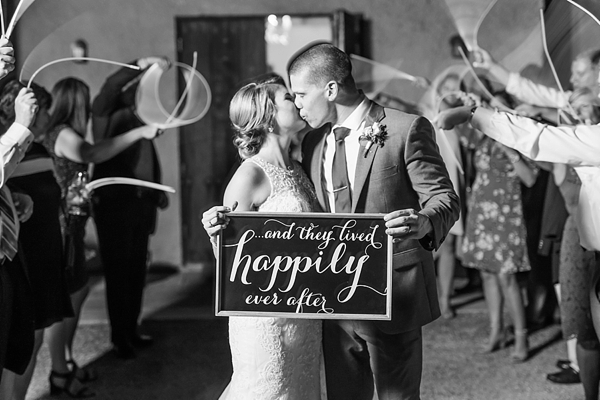 From quintessential winery details like gorgeous flowers atop the coral pink-banded wine barrels and stunning portraits in the wine cellar to fun conversation cards that the bride and groom made for their guest tables for everyone to get to know each other, Taylor and Tyler made a new chapter in the love story that day through Ryann Winn Photography's captures.